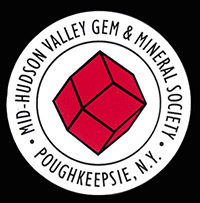 - 28 Dealers of Minerals, Fossils, Meteorites, Gemstones, Jewelry, and Beads. - Tools & Books - One Wholesaler. - Sluice for Minerals at "Garnet Gluch"
- Six Free Rocks for children at "Glitter Mountain"
The 2018 Earth Science Questionnaire can be downloaded here. Please bring a copy with you to the show - there is limited supply of copies at the show.